Check out a new history feature on Coney Island Central detailing the history of the Island Queen. River travel used to be an integral part of Coney Island. Check out the history of the main steamer and see some unique pictures of the fine vessel. Also, several new historical images including many of the Island Queen, and a few showcasing items that once resided at Coney being relocated to Kings Island have been added to the historical photo gallery. See the new images here. As always, if anyone has any historical pictures from Coney Island that they are willing to share, please let me know! 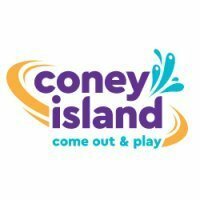 And for those of you who have not checked out Coney Island Central`s content, I recommend you do so. The site has lots of information and great historical pictures on it. Another great addition to Coney Island Central! Of course I would love to see additional images! And I`m sure others would love to see additional images as well! Well, the only bridge that is being replaced/studied for upgrades currently is the Brent Spence bridge which carries Interstate 71/75. And that bridge was built long after the Island Queen was lost in Pittsburgh. The bridge was built in 1963. Are there any older bridges? Why, certainly! One older than the Brooklyn Bridge and by the same designer! John A. Roebling Suspension Bridge! Thats the bridge! Anyways, the photo will be great for anyone who loves old bridges, as it shows the John A. Roebling Suspension Bridge in its entirety, as well as the Island Queen. I do am an architecture fan. Comes with the territory of the degree I received I suppose. I also am fascinated by roads. If you you haven`t checked out Cincinnati Transit.net, I highly reccomend that you do, as it offers an interesting history on Cincinnati`s bridges and free ways. While the site hasn`t been updated in a while, its still a nice read, with lots of pictures. Is this the picture you are referring to? It looks fairly similar to the photo in my grandfather's possession, but I believe that photo was taken from the air. you can see the history and photo's of Cincinnati's Abandoned Subway.